The railroad crossing about a mile from my house has a warning signal with flashing lights and mechanical arms that come down when a train is approaching. This warning signal malfunctioned recently. The lights were flashing and the arms were down, but there was no train nearby. Drivers cautiously drove around the arms of the signal and went on their way. A worker came out later that day and fixed the problem. I suppose an even greater problem would be if the warning signal malfunctioned in a different way—by not flashing its lights and lowering its arms when it was supposed to do so. After all, that’s what a warning signal is for—to warn people of impending danger. If it doesn’t do its job, the result could be tragic. Part of our job as Christians is to warn others of the wrath of God that is coming on all those who ignore him or oppose him. That wrath that is surely coming will be swift, complete and eternal. Have you warned anyone lately? “Save others by snatching them from the fire…”—Jude 23. 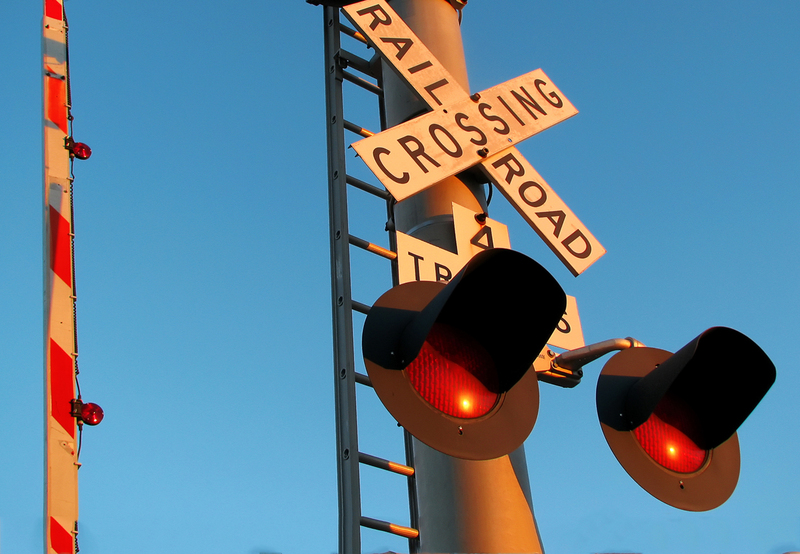 This entry was posted in Christian Living and tagged eternity, evangelism, Hell, illustration, Jude, railroad crossing, warning signal, witnessing, wrath of God. Bookmark the permalink.